If your destination is Full Moon Party - The World Famous Party at Haad Rin Kho Phangan, this is a perfect place to stay. Hostel Shuttle Service, Full Moon Party Transfer Tickets, Car Rental are available in bargained rate. We are offering 28 beds appointed Bunk Bed Dormitory and Private Rooms with Guest Kitchen, Indoor Pool. Monkey Samui Hostel is in green coconut garden inheritance from reat grand father-mother which offers you privacy and beautiful scenery. 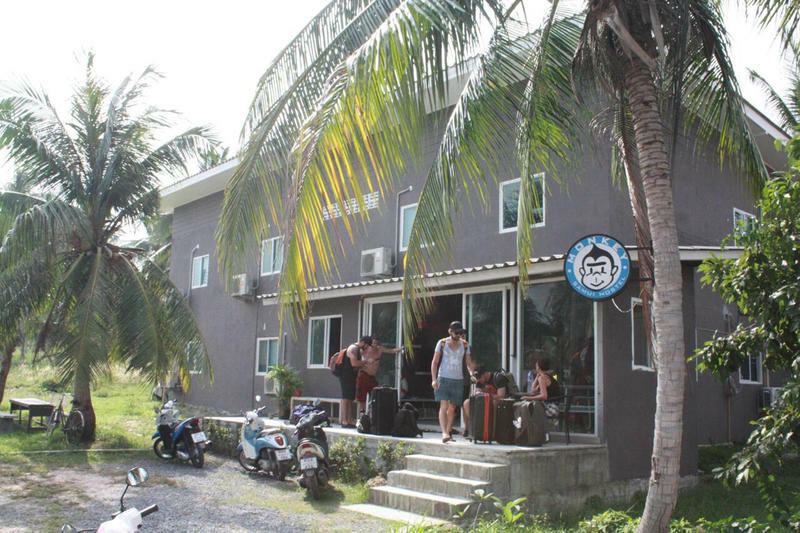 The hostel is located near Samui International Airport, Big Buddha and Choeng Mon Beach. From Samui Airport go to main road and turn right, when you see entrance to Big Buddha, drive straight 800 m. Between Plai Laem Soi 8 and Soi 10, you will see Monkey Samui Property sign on right side (same entrance as Payorm Park Resort), take a right turn, then you will see a standalone building at street end. it takes about 10 min drive from Samui International Airport (4km).